It’s that time of year again. The hype and hysteria of ongoing transfer saga’s continue, the opening weekend has come and gone and pundits the length and breadth of Great Britain the World are having their say on the season’s final outcomes already. Well, for others like me, the season is yet to begin. This Saturday (20th August 2011) sees the return of the Academy Premier League and the showcasing of tomorrows pro’s. After a wonderful season for the Academy last time around, it’s the turn of new scholars to get their first taste of what football – and life – might be like, if they have the desire, talent and above all else, the right attitude to progress through the ranks at Manchester United. It’s a word you’ll hear me use almost every week. It’s without doubt the key function of the Academy. The popularity of Academy football is growing, I mentioned that last season, but so too is the use of Social Media. As we’ve recently witnessed, Social Media is rewriting the rules of ‘the game’ and the way people behave. It’s also having an impact on the number of people who are interested in football at this level. With bloggers galore all tweeting their latest review or report like others do about the first team, it’s hard not to imagine that the rise in popularity will slow down and end there. So thanks in part to Social Media, larger attendances and a greater spotlight on everything the players do, the Academy now arguably provides them with a progressive experience that more closely resembles the life of a professional than it ever has in the past. These kids will visibly, physically grow in front of your eyes as the season unfolds. Remember, at this age they no longer attend school (they attend part-time colleges) and they ‘work’ 5-6 days a week (including match days) so it’s inevitable the natural growth rate is accelerated by the explosion of targeted exercise and training. Coaching intensifies as tactics and training sessions now become far more serious than they ever were after school for three nights a week over the last few years! Another key consideration when following this level of football is experience. 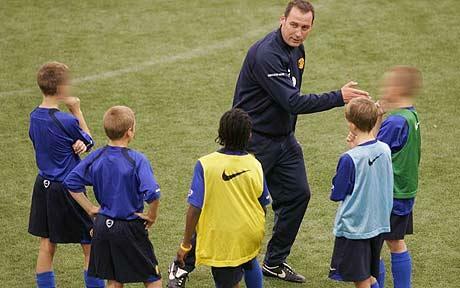 The idea is to give the kids experiences throughout the season to assist their ‘progress’ and help them ‘develop’. The two years they spend playing in the Academy bridges the gap between football being a ‘game’, and football becoming a professional occupation. Whether an experience is good or bad it doesn’t matter, both are equally important. So?….Why am I harping on about that stuff anyway?…..Most people will recognise the function of the Academy, they don’t need telling!……….apparently not. As with many new technologies there are just as many positives as there are negatives. In a recent trip to Ireland to compete in this year’s annual Milk Cup, United were handsomely beaten 5-1 in the final by Qatari side Aspire. Not for the first time, mine and other bloggers’ Twitter timelines were littered with throw away comments about how poor this player is, and how inept our leftback is and so on. I’ve chosen to omit the feckless and irrational choice of language that’s used to berate these kids via Twitter, because that’s exactly what it is. The leftback on that occasion was Gyliano van Velzen. GVV usually plays left wing, left midfield or centre forward. Due to a minor injury crisis the manager required someone to step in and play out of position and van Velzen did it. In truth he had a shocker and got targeted by the opposition, but if you’re serious about watching football at this level then please be aware that what you get isn’t always what you see. He and the manager will have learnt a lot from that………progress…..development…..experience. Poor results, bad performances, missed chances, dropped catches, highs and lows. They’re all ‘part and parcel’ of a player’s development. It’s a serious shame that people view the Academy games using the same perspective they use when they’re watching the first team……it’s a completely different ball game…..well ok it isn’t, but you know what I mean! For those of us who use these simple rules to assess the games we watch at this level it promises to be an insightful season – and – if it’s a successful one in terms of results, it’s a welcome bonus. 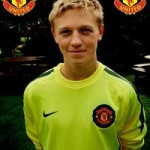 Only a handful of players remain from last season’s FA Youth Cup winning squad. Charni Ekangamene, Tom Lawrence, Tyler Blackett and Gyliano van Valzen featured throughout the season while Joe Coll, Liam Jacob, , Luke Hendrie and Luke McCullough are also second year scholars but rarely figured last term. All of these players are in their final Academy year and should all figure heavily throughout the season. Joining the second years are the latest intake of first year scholars who are Jonny Sutherland, Declan Dalley, Donald Love, Louis Rowley, Matthew Wilkinson, James Weir, Jack Rudge, Ben Pearson, Joe Rothwell, Kenji Gorre, Patrick McNair, Mats Daehli, Adnan Januzaj, Liam Grimshaw, Jack Barmby and Sam Byrne. You might recognise a handful of the new-boys after they featured in 2 or 3 games towards the latter part of last season while regular squad players were recovering from injury, rested for the Youth Cup or away on tour in Italy. Notably Rowley, Wilkinson, Rudge, Rothwell, Gorre and Barmy all figured in games against Liverpool away, Everton at home and then Leeds at home on the last day of the season. All these experienced playing with-and-against older boys for the first time and even playing with United’s reserves Reece Brown and Scott Wooton against Leeds. A player who also figured in a few games late last season is Mats Moller Daehli. Played as a centrally attacking midfielder, Mats has great awareness and great balance and I think the potential to make a real impact on the Academy this season. 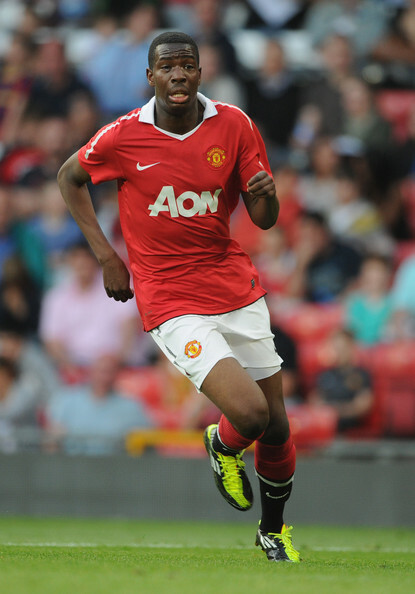 Tyler Blackett is a powerful left footed defender who likes to get forward. His speed and his passing might single him out as someone who’s versatile and could be used in different areas of the pitch as the season prevails, definitely one to keep an eye on. Tom Lawrence is an attacking midfielder stroke forward who likes to link the play between midfield and attack. He possesses great skill and vision. Expect to see him running at defenders and intricate inter play between himself and Daehli that produces some memorable moments. Tom is a Welsh international who scored 6 goals last season including this little gem (youtube clip) against Liverpool at Carrington on a filthy Monday afternoon. The league is structured into 4 groups of 10 regional teams and each team plays each other twice (home & away) and also plays 10 inter-group fixtures to provide a 28 game season. The match versus Portsmouth is one of the 10 inter-group games as is Southampton away the following week. At the end of the season the 4 Group winners play-off to win the league title. For more information on this go to the Premier Academy League – Wiki page. 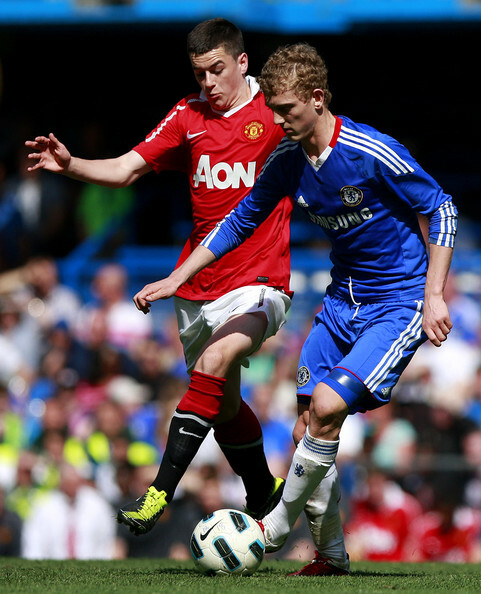 MUFC v Portsmouth – Review. The real impact of the financial strife Portsmouth have suffered in the last few years is being felt at every level of the club, particularly in the previously well-funded academy. Their class of 2008 was expensively assembled and talked up by the club but as of this summer not a single one remains on the books at Fratton Park. With just four wins last season, they continue to struggle but are remaining positive and make the best of what they’ve now got to work with. Key Man: Sam Magri – by far and away the best prospect at the club, Sam was an ever-present alongside Nathaniel Chalobah in England’s Under-17 World Cup campaign this past summer and scored a penalty in their Quarter Final elimination. 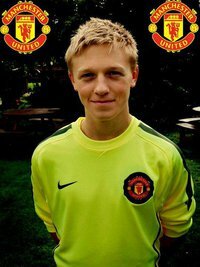 Not 18 until the final weeks of the season, he’ll remain in the academy team for a while yet and will be a welcome presence. Manager Paul McGuiness doesn’t seem to have a preference towards one specific formation. He often uses 4-4-2 or an attacking variation of 4-5-1 that attacks as a 4-3-3, well at least with last season’s personnel that’s how he operated anyway. I expect to see a 4-5-1 on Saturday purely because the squad appears to lack forwards, in fact they’re that bare there doesn’t appear to be an out-and-out striker/forward at all, I’ll list the players as a 4-3-3 and take a guess that Barmby might be the one to play through the middle. If you’re planning on following the Academy this season you can do it in many ways. You can watch all the home games live on MUTV and you can follow me and my updates on Twitter during the match live from Carrington and most of the away fixtures @Rimmerstweets. I’ll be publishing previews and match reports here on RedRants and there’s also the official site to keep up-to-date with the league tables. 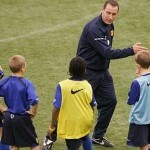 I’ve also found this Academy site MyFootballFacts.com run by Spurs fan Paul. All results, fixtures and tables can be found there, it’s a lot better than the official site. Thanks Paul. Anyone who ventures down to Carrington to take a look at the games for themselves, beware that at half-time Manchester United Football Club provide tea and biscuits FREE OF CHARGE in the training complex. Yes that’s right, they give something away free of charge……so obviously I tuck into the biscuits and I’d advise everyone to do so! If you see me outside feel free to introduce yourself and say hello but please not during the match…..I’ll be busy Tweeting updates. Great article really enjoyed it. Yet again Mourinho has dragged a team managed by him and football through the mud. Before I start he is an excellent manager and if he managed United we would win, but win ugly and be brought down to his sewer level. He is almost a cartoon villain, who revels in attention like a pretentious school girl demanding attention and if he doesn’t get it the toys are thrown out of the pram with a crashing bang creating carnage everywhere surrounding him. Every club he has managed he has caused controversy, something think this is funny or a breath of fresh air most decent people think it degrades the club he is control of. He lacks respect for any club, desperate it insult any club he goes toe to toe with, a win at all cost mentality playing turgid football and kicking lumps out of players far more talented than his own. His behaviour has included, insulting and lying about a referee who had to retire as he was getting death threads from supporters, getting his own players booked against Ajax last season, putting his finger to his lips to incite the Liverpool fans in the Carling Cup Final, the laughable laundry basket incident, his psychotic reaction to winning the Champions League, his Porto players cheating and diving there way into winning the Ueffa Cup, oh and the quite bizarre way he reacted to knocking us out in the Champions League. Some on hear claim his football is exciting, but in reality it really isn’t. His Chelsea side were mechanical at best and even Chelsea fans I know say in the second season it was truly awful. He showed a cowardice against Barca last season but not even playing a striker against them which I have never seen from anyone in the past. His overall hatred of Barca is now causing his mask of sanity to slip, as I have no love for the Catalans it is simply amusing to watch. Mourinho tries now too hard to get under Pep’s skin and it is simply not working, so now he has to literally attack the assistant. He needs to be brought into line and it is up to UEFFA to do this and normally disciplined players like Alonso seems to be turning as well. Barca are no angels and wander around the footballing World walking between the raindrops of rules, but if no action is taken then Pique will be correct Spanish football will be dragged further through the mud. Mourinho isn’t showing much dignity. But then again I would be frustrated as hell being as competitive as he is and stuck in a league where everything is rigged in Barcelona’s favour. In a way he is quite noble as he takes all the flak when really it is his team that are sucking on the pitch and not following instructions. Real Madrid are a nightmare to manage and have driven better men than Mourinho crazy. The guy needs to come home to England and I’d rather have him managing us than City as he could turn them into a formidable outfit. The fact remains he is the only guy with the quality to replace Ferguson. Of course he won’t join us because we are old school and people like Bobby Charlton will veto it. The league is set up around both sides matey, Barca are simply the best side in Europe but they certainly know it and take advantage of the respect they get. If other clubs can gain fair broadcasting rights, the duopoly that is La Liga would likely come to an end…..
Mourinho should get lifetime ban…If you can’t defeat them,accept it. It’s ironic the topic of conversation turns to Jose ‘anti-football’ Mourinho on an Academy post. If, and I hope it never ever happens, Mourinho is approached to manage United I think I’d pack up following the Academy. If the lads at the academy had any sense they’d immediately look for a move to a club where they have a chance of being rewarded for progressing, learning, developing and training well instead of being overlooked. JM isn’t interested in developing youth he’s solely consumed by the need to be ‘special’. Then there’s the football we’d play……forget wingers, they’d be a thing of the past. United? No wingers? United? Negative? No thanks, our philosophy over the last 50+ years will do for me, it doesn’t need a period of negative, paranoid, bruising, ugly football that will ultimately need someone to be brought in to reintroduce it when JM leaves without a by nor leave for the future. Thought Blackett was out injured but he’s in, with Ekangamene missing. United 1 down at HT to a long range effort from Colspn (8) for Pompey.